Fitting the thing was surprisingly easy – ensure you attach the standoffs prior to fitting, you risk damaging the PoE hat each time you remove it. Once fitted I connected the network cable into my PoE switch and everything worked as expected – you’d expect it to be simple to be fair! Then came the noise! If you’re looking to run this anywhere that noise could be an issue, don’t bother buying the PoE Hat. Even in the cool / early UK Spring I found the fan to run regularly and for extended periods. It’s a small fan so when it gets going it is noisy! Definitely not wife friendly… even less so than the cables! I’d be interested to hear if your experiences are different! I recently setup a new SSID to enable quick and easy access to a VPN protected network when I needed it, also making this easily accessible for family members who are not computer-savvy. No soldering required! A young children friendly introduction to IT/ Computing. Getting young kids into IT/ Computing can be a challenge, especially when it comes to doing something “constructive” i.e. not playing video games. I’ve been looking at accessible and interesting ways I can get my kids working with computers/ technology. 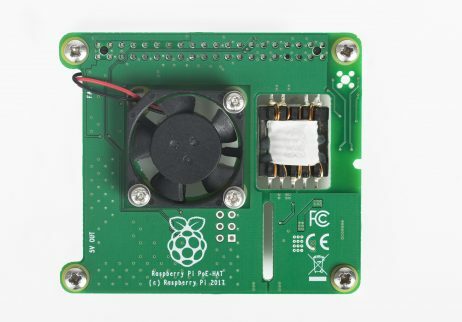 Unsurprisingly, the Raspberry Pi came out top of the list. I really liked the idea of doing something on-screen that would provide feedback in the real world, making the experience more interesting. What was clear, was that as a beginner in this space, beyond selecting the SBC (single board computer), the number of add-ons/ (p)HATs is simply mind-boggling. I then came across the “CamJam EduKit” packs that were for sale at PiHut, specifically the “EduKit 1” pack, available here. So whats in the £5.00 kit? 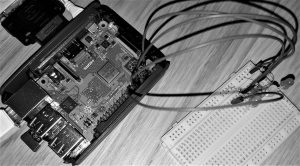 Comprised of eight well-written, clear and understandable modules (see here for more details), EduKit 1 provides a great introduction to building simple circuits via a breadboard and interacting with them using Python/ GPIO Zero. Within a few minutes my son had created his first circuit and, using the supplied code samples, was able to light-up the LEDs as outlined under Module 2, he then modified the supplied code for this module to change which LEDs lit-up, the order way in which the LEDs lit-up and how long they stayed on. All-in-all we’d covered basic programming/ coding in Python, circuits design, electronics and components in what was a fun and interesting 30 mins. I was so impressed with the kit and learning material I’ve got EduKit 2 and EduKit 3 on my workbench, ready to go. The promise of building a Pi-powered robot seems to have piqued my sons interest! I’ll state, for the record, that I am in no-way affiliated with PiHut or CamJam, the kits I have were purchased by me to try new ways to make IT interesting and exciting for my kids.